For the daring! 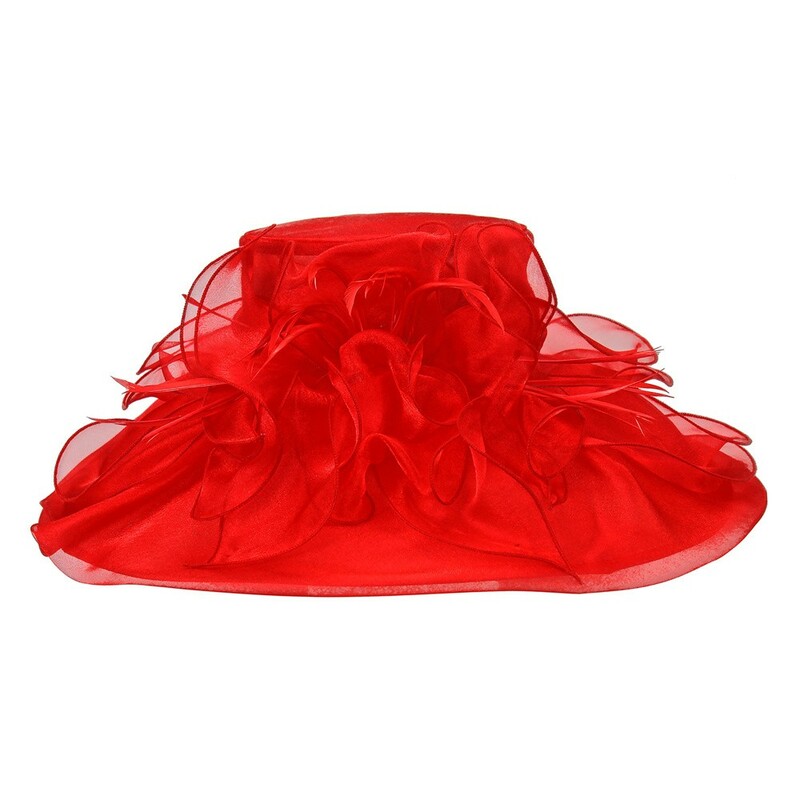 Add a bold and beautiful accessory statement to your outfit with our 1920s Style Organza Hat in Red. 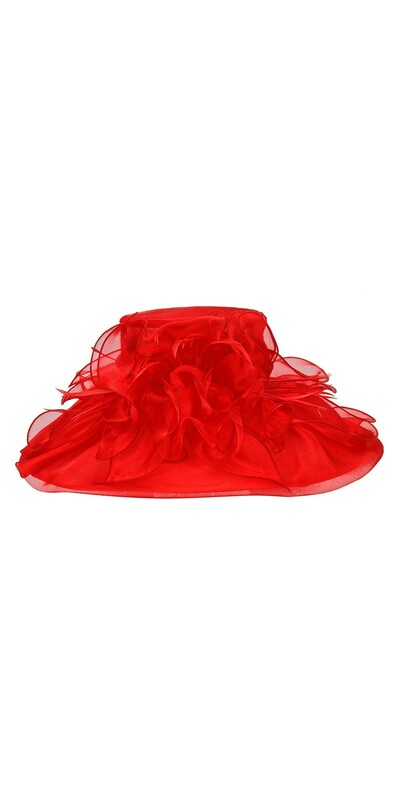 This wide-brimmed hat is set off with ruched red fabric, mesh, and ribbons. Be the bee’s knees and the life of any party when you adorn this chapeau!